At the beginning of the Twentieth Century, American automobile manufacturers sprouted up like weeds in a garden. In the period between 1900 and 1920 alone there were literally hundreds of car brands vying for customers’ attention. Most brands vanished rather quickly, while others motored on until the financial distress of the Great Depression took its toll and they too were gone. But some of these companies had more staying power. Oldsmobile, Studebaker, and Packard, all founded by 1902, were pioneers instrumental in building the foundation from which the success of the American automobile industry took wing. They all survived the wild fluctuations of the economy and the industrial upheaval of World War II, and lived into mid-century and beyond. But, like the dinosaurs, even they couldn’t escape extinction. On April 29, 2004, a dark red Alero four-door sedan rolled off the assembly line, marking the end of Oldsmobile production that began in 1897. During those 107 years, Oldsmobile produced more than 35 million cars. At the time, Oldsmobile was the oldest surviving American automobile brand and was the fourth-oldest in the world, behind Daimler, Peugeot, and Tatra. Oldsmobile wasn’t just a sideline spectator in the automotive arena; it was a major player from the very beginning when Ransom E. Olds and his investors founded the company on August 21, 1897. It was the first automobile manufacturer to use a progressive assembly line system and the first to become a commercial success. Olds production jumped from 425 cars in 1901 to 4,000 cars in 1903, five years before Henry Ford began production of his famous Model T.
Olds left his namesake company in 1904 and started REO Motor Car Company. Oldsmobile struggled in the lean economic times of the period and was bought by General Motors Corporation in 1908, joining Buick to create GM’s two operating divisions. As GM grew, Oldsmobile’s six- and eight-cylinder cars were solidly entrenched in the middle of the General’s lineup, which included Cadillac, Buick, Oldsmobile, Pontiac, and Chevrolet. The Oldsmobile Cutlass Supreme was the best-selling American car through the ‘70s and into the early ‘80s, and by 1985 Oldsmobile had muscled its way into the top three in annual car sales along with perennial leaders Ford and Chevrolet. 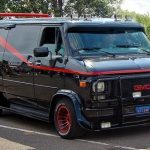 Despite its success, changes were happening both within General Motors and in foreign competition that would prove to be lethal to Oldsmobile. Historically, each car line in the GM stable was tailored to a specific price market. Over time, that system evolved into one in which each brand marketed a variety of cars in a range of prices, creating competition among GM’s own brands. In addition to the increased intra-company competition, foreign competitors Acura, Infinity, and Lexus took direct aim at Oldsmobile’s market. New models and names, such as Aurora, Intrigue, Alero, and Bravada did little to reverse the problem of sinking sales. In a classic case of bad timing, in December of 2000, General Motors announced plans to shut down Oldsmobile only two days after the introduction of the Bravada, Oldsmobile’s then-new SUV. 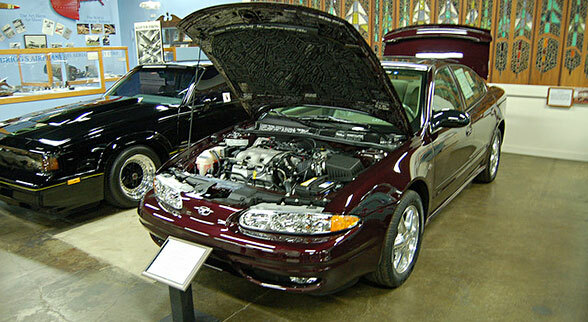 The final Olds, that dark red Alero, now resides in the GM Heritage Center, a silent reminder of the heady days when the Oldsmobile “Rockets” flew high and fast. From their very beginning in 1899 as the Ohio Automobile Company, the Packard brothers, James and William, and their partners concentrated on building high-quality, high-priced automobiles. In 1902, the company changed its name to the Packard Motor Car Company and moved to Detroit, Michigan, where it built what was generally considered to be the most modern auto plant in the world when it opened in 1903. In an era when other cars sold for $375 to $650, Packards were selling for $2,600. Between 1924 and 1930, Packard was the top-selling luxury brand, outselling such competitors as Cadillac, Stutz, Duesenberg and Pierce-Arrow. They created a large following among wealthy purchasers, a following that would serve them well into the 1930s. Although not as fast or as flashy as Duesenberg or Stutz, Packards were the epitome of impeccable taste, built with the highest-quality materials and a V12 engine that was unmatched for smooth, quiet power. 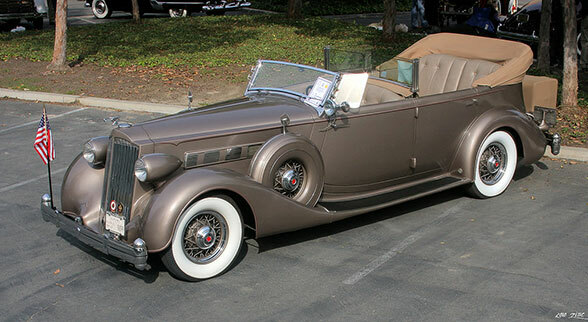 In the 1920s and ‘30s, if you wanted the absolute best and could afford to pay for it, Packard was your choice. Packard also aggressively pursued overseas sales, exporting more cars than any other manufacturer in its price class. Newsreels of the day are replete with images of the rich and famous with their Packards. 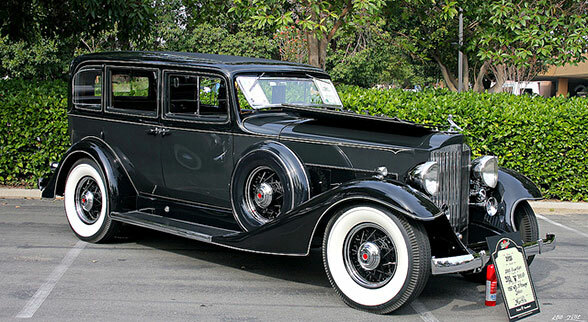 It is reported that Japan’s royal family owned ten Packards in 1931. Thanks in part to those export sales, the company’s gross income was just under $22,000,000 by 1928. Packard built ever more opulent and expensive cars during the depths of the Great Depression. Their superior cash position and strictly controlled production costs helped them survive, while competitors like Stutz, Franklin, Duesenberg, and Pierce-Arrow were all out of business by 1938. Packard’s management also realized that increasing sales volume during this period would help them stay in business, so they took the unprecedented step of introducing more affordable mid-priced car lines, the One-Twenty eight-cylinder and the Six/One-Ten six-cylinder. 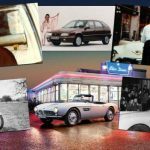 The medium-priced cars had their own assembly plant that was separate from that of the expensive “Senior” cars, but the cars were badged as Packards and, unfortunately for Packard, they planted the seeds of doubt in buyers’ minds about the exclusivity of the brand. During World War II all new car production stopped while the factories turned to producing war material. At the end of the war, Packard, along with other manufacturers, anxiously anticipated the financial windfall that the pent-up demand for new cars would bring as the country returned to normal – but it was not to be. Packard’s expanding commitment to mid-priced cars in the post-war period cost them their place in the luxury market. The financial problems caused by the lower profits generated by the medium-priced automobiles were exacerbated by reduced sales due to the lukewarm reception of new Packard models, as well as an industry-wide steel shortage that limited production. By the time Studebaker made its first electric car in 1902, the family had already been in the wagon-making business for 50 years. Studebaker made farm, mine, and military wagons, in addition to the Conestoga wagons that carried the multitude of settlers westward in the 1800s. With their reputation for high quality, Studebaker wagons were much sought after and by 1877 their wagon sales exceeded $1 million. Following a period in which Studebaker began production of gasoline-powered cars in conjunction with the Garford Company, the company bought E-M-F, at the time the second-largest automobile manufacturer, in 1910 and reorganized as the Studebaker Corporation in 1911. The Detroit production facilities acquired from E-M-F were moved to Studebaker’s hometown, South Bend, Indiana. There the company prospered and in 1926 became the first auto company to have its own outdoor proving grounds. Studebaker enjoyed steady sales increases during the ‘20s and ‘30s thanks to many style and engineering milestones, and garnered a reputation for sturdy, reliable, mid-priced automobiles, as well as trucks, buses, and fire engines. In the late 1930s, noted industrial and automotive designers Raymond Loewy and Virgil Exner were contracted to design Studebaker vehicles. 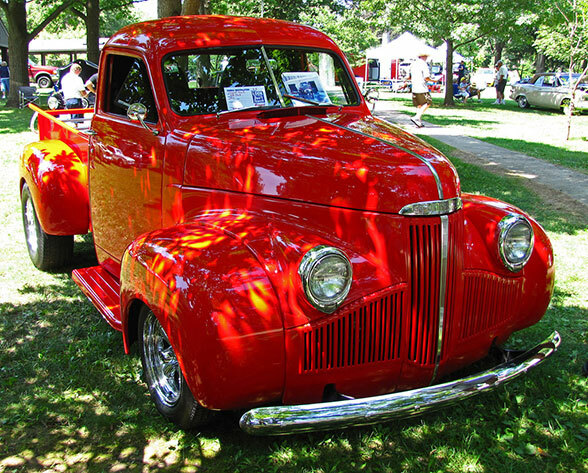 This foresight paid immediate dividends with the Loewy-designed 1939 Champion, Studebaker’s entry into the low-price field, when Champion sales doubled the company’s previous-year sales. 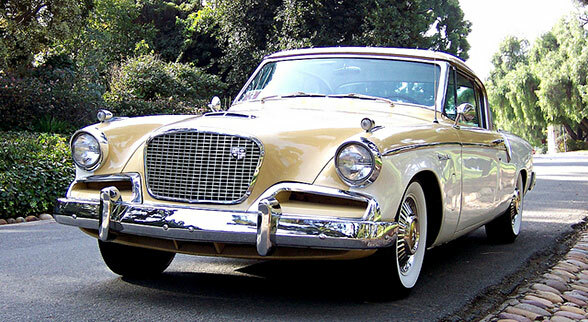 When car production resumed at the end of World War II, Studebaker broke from the gate ahead of the pack and was the first company to have an all-new, post-war car in 1947. And it wasn’t just any car. The Virgil Exner-designed Starlight Coupé model introduced sensational, innovative styling features that influenced other car designers and remained a fixture in the Studebaker lineup into the early ‘50s. Studebaker had its best sales year ever in 1950. But just three years later, they were in such poor financial condition that they gladly answered the call when Packard came knocking. What happened to Studebaker also happened to every other independent carmaker of the era — Packard, Hudson, Nash, Kaiser, and Willys. By the early ‘50s, the hyper-demand of the immediate post-war period had been satiated and it was now a buyer’s market. 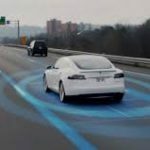 Thanks to the advances made by the Big Three—General Motors, Ford, and Chrysler—buyers now expected yearly styling changes, advanced features like efficient automatic transmissions and overhead valve V8 engines, and upscale interior designs. 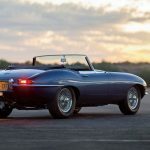 None of the independent carmakers had the resources to meet the buyer’s expectations and successfully compete against the cars of the Big Three. But the body blow that took the wind out of Studebaker sales was Ford’s all-out attempt to knock Chevrolet from the top step of the sales podium. Starting In 1953, Ford ramped up production and twisted dealer’s arms to sell, sell, sell. Chevrolet, of course responded in kind. Studebaker and the rest of the independents were caught in a no-man’s land between Ford’s and Chevrolet’s warring front lines. Without the financial wherewithal to compete with the prices and features that Ford and Chevrolet were offering, sales and profits sank like rocks. Packard and Studebaker were both anxious to move ahead with the Packard take-over as quickly as possible to end the hemorrhaging of cash from their coffers. Each agreed to forego due diligence and rely on financial figures supplied by the other. 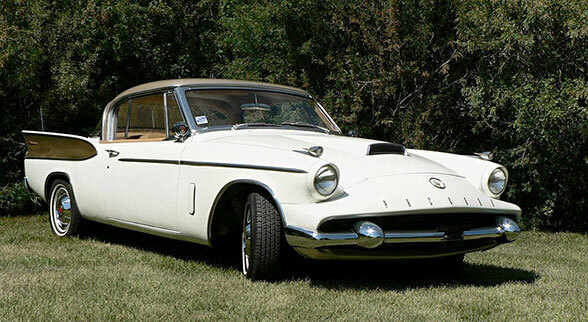 The Studebaker-Packard Corp. was created in 1954. For Packard, the take-over proved to be an unmitigated disaster as they soon discovered that Studebaker was in much worse financial condition than Packard had originally believed. Money on hand that had been allocated for future Packard models was instead used to help alleviate the financial bleeding at Studebaker. The end came soon for what was left of Packard. The last “real” Packard rolled off the Detroit plant assembly line on June 25, 1956. 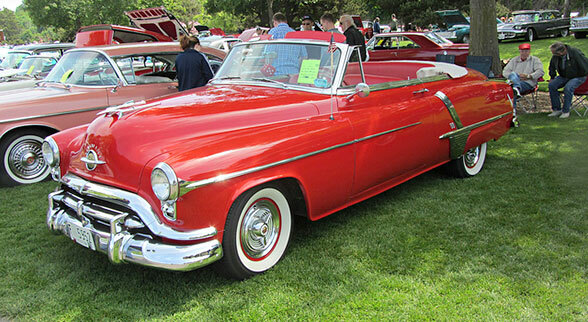 The Packard name was then used on what were obviously ’57 and ’58 Studebaker bodies with garish modifications to differentiate them from the Studebakers. After the 1958 model year, the Packard name was dropped altogether—a sad end for a marque that was once considered by many to be the best car in the world. Studebaker pulled off a clever bit of parts-bin engineering by putting new front and rear sheet metal on their existing sedan chassis and making the new compact Lark that sold well in 1959. The next year, the Big Three came out with their own compact models that sent Lark sales tumbling. Studebaker closed its South Bend plant in 1963 and the truck plant followed in 1964. Their Hamilton, Ontario plant soldiered on, making the last Studebaker on March 4, 1966. The final Studebaker ever built, a 1966 Cruiser, now resides in the Studebaker National Museum in South Bend, Indiana among examples of wagons, cars, and trucks, the remains of Studebaker’s 114-year history. The last Oldsmobile ever built, a 2004 Alero, at the R.E. Olds Museum in Lansing, Michigan. So why, after these three pioneers had remained in business for so long, did they ultimately fail? A simple answer is that they failed to evolve in a way that kept their core values and, consequently, their core customers. However, unlike the dinosaurs, car companies don’t evolve at the whims of nature, but at the whim of their managements. And in each case, management made decisions that proved to be their company’s eventual undoing. Nicely written an informative piece. The post-mortem analysis was spot-on. Two corrections on the photos: the Olds Toronado pictured is actually a 1967 model; the Studebaker pickup photo shows a 1946 model, not 1964 as captioned. The ’64 was actually a modern design based on the contemporary passenger car. Hey Glen, thanks so much for keeping us on our toes! You are absolutely right on both accounts, we went ahead and updated both pictures. We always want to keep our info correct and we appreciate you helping us to do that!